Just like I’m a sucker for all things pumpkin in the fall, I have a similar affinity for coconut in the summer. (Well, pretty much any time of year, actually.) Which is convenient, since it seems coconut is the new pomegranate. Everything is coconut flavored! Score for me. 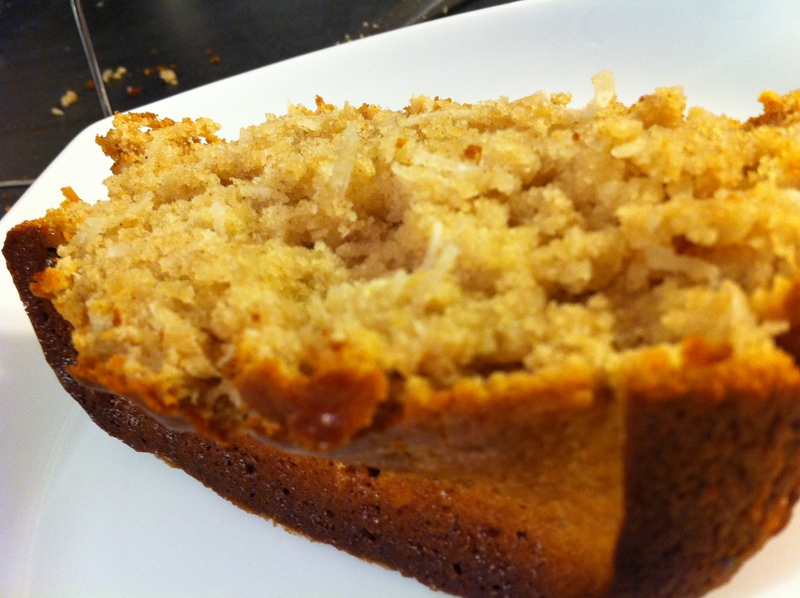 And so, when I saw Smitten Kitchen’s most recent post for a coconut quick bread, I was immediately on board. Not only did it look amazingly delicious and right up my alley, but I’d also just purchased some Trader Joe’s shredded coconut and was waiting for the perfect occasion to break it out. I felt like it was meant to be used on this bread — and I was, in fact, correct. In a medium bowl, sift together flour, salt, baking powder and cinnamon. Add sugar and coconut, and stir to mix. Make a well in the center, and pour in egg mixture, then stir wet and dry ingredients together until just combined. Add butter and stir until just smooth (don’t over mix!). 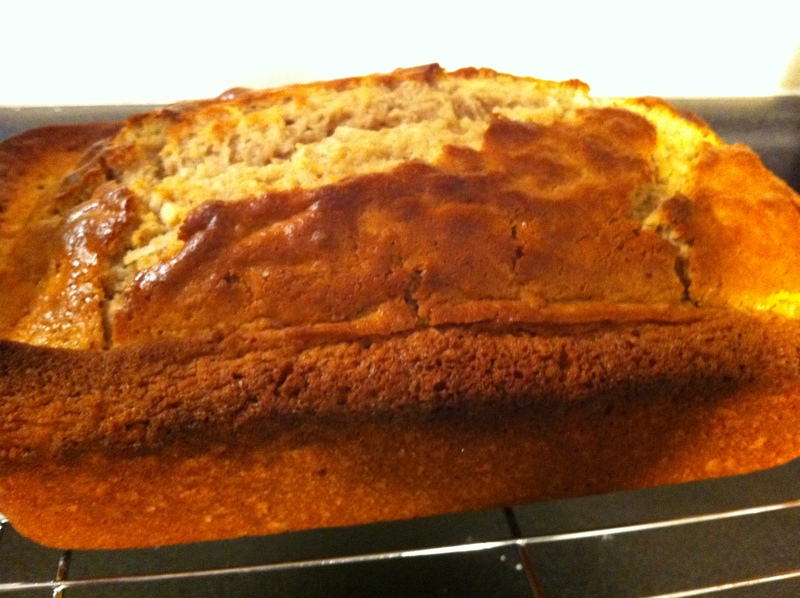 Spray a 9×5-inch loaf pan with a nonstick spray. Spread batter in pan and bake until a toothpick inserted into the center comes out clean (mine baked about 50 minutes, but Smitten Kitchen said it could take more than an hour so just keep an eye on it). I recommend enjoying this warm, if possible, with butter. Yet another glorious coconut recipe to add to my list. YUM! Anyone else have other favorite coconut-themed recipes? Please share, if so!